Credit card perks are one of the most underutilized benefits of having a credit card. A 2017 study from Bankrate found that 31% of cardholders aren’t redeeming the rewards they’ve earned. If you’re one of these people and paying an annual fee for your card — or interest charges on a revolving balance for that matter — you’re leaving free money on the table. Here are three ways to maximize credit card perks and rewards, some of which you may not even know you have. It all starts with the right credit card. No fees and a low interest rate should be your top priority when choosing a new credit card, but you should also factor in the card’s reward program to make sure it suits your spending needs and lifestyle. If you like to travel, it may make sense to choose a credit card that has the best airline miles program, but if you have a long commute to work each day, cash back on gas may be more valuable to you. 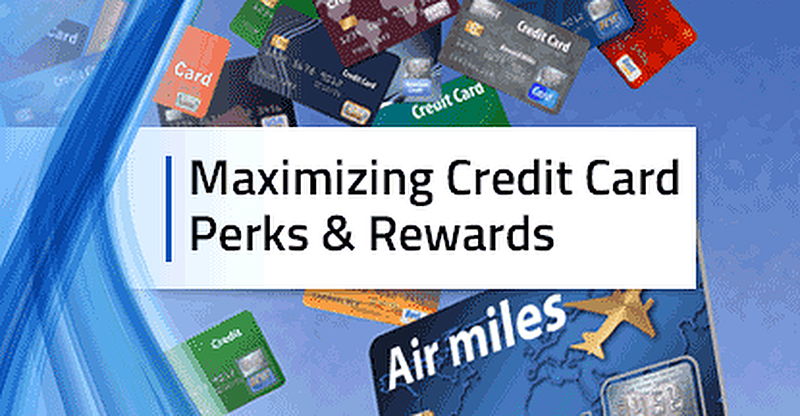 If you already have a credit card, decide which perks appeal most to you, and, if your card doesn’t offer them, see if you can negotiate or switch to a different card (this works best if the rewards are offered through a different credit card available from the same credit card company). Below are just a few of the popular rewards categories that may fit your lifestyle. You don’t have to be an adventurous, plane-hopping nomad to find value in a good air miles card. Americans spent more than $700 billion on leisure travel in 2017 alone. One could infer two things from this — that we like to travel (to see family, in particular, according to the data) and that it doesn’t come cheap. Using a credit card for purchases that can earn you free or even discounted flights can be a boon to many, though travel rewards are some of the more complicated to navigate, especially when transferring air miles to partner airlines is involved. If you’re ready and willing to make the most of your travel rewards, these are a few of the top-rated air miles cards available today. According to ABC News, 220 million Americans spend an average of an hour and a half each day in their cars, while another 3.3 million commute at least 100 miles round trip for work each day. That’s a lot of paycheck going toward gas. If you’re a “super commuter” or just find yourself using your car to run errands that add up in fuel costs quickly, a card that can earn you rewards on fuel purchases can help save you a fair chunk of change. Below are some of the top-rated gas-rebate cards. 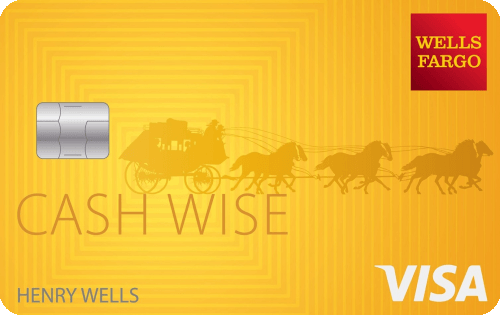 Cash back is the no-muss, no-fuss category of credit card rewards. 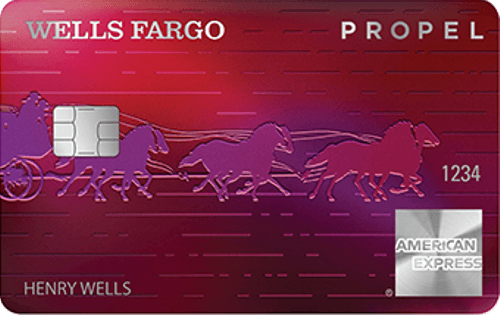 You use the card as normal for everyday purchases and accrue a percentage of each purchase back, generally 1 – 5% depending on the card you have, and can redeem that accrual toward statement credit or even have a check sent to you in the mail. It’s essentially a rebate on everything you buy — a coupon if you will. The caveat, of course, is that if you carry a balance, interest charges will eat away at any “savings” you may have earned. But if you pay your balance in full each month, it really is free money. Below are a few of the best cash back cards available today. If you don’t know what rewards your card offers, how will you know to use them? Check with your credit card company for a list of your specific credit card perks and how they work. Make sure to know the rules — some are more complex than others. For example, if you have a cash back credit card with rotating quarterly categories, this means you earn more cash back on specific purchases within that quarter’s promotion. 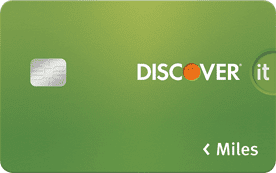 Take Discover, for instance, one of the issuers most-known for its 5% rotating categories. Three months of the year, you can earn 5% cash back — 4% more than the standard 1% on all purchases — at places like Amazon.com, wholesale clubs like Sams or Costco, and even gas stations or grocery stores, plus many other retailers and spending categories, as these are just a few common examples. But if you don’t know which months align with which merchants — or fail to opt-in to these quarterly promotions — you’ll miss out on all your card has to offer. Roadside assistance in case of a flat tire, engine issues, etc. While things like price and return protection are becoming less common in the industry, they’re extremely valuable perks to have (or at least know you have), especially on big-ticket items. Understanding the perks and protections that come with your credit card will help you avoid joining the nearly one-third of cardholders who never redeem their rewards, and potentially save you a lot of money in the long run. Ashley Feinstein is a certified personal finance and career coach based in New York City. A former investment banker, Ashley specializes in helping others transform thier lives through financial wellness. She has appeared on NBC, Forbes, Business Insider, The Huffington Post, Entrepreneur, Daily Worth, and many other outlets. She started her personal finance blog, The Fiscal Femme, to share her passion for personal finance education in a fun and accessible way. Connect with Ashley on Google+.